When thinking about a hair concealer, many think about the fibers that will get blown away when stepping out of the door in the morning or other solutions that don’t really work. In fact, these kinds of solutions for thinning hair are still in the niche of not-working-or-not-looking-naturally. It took me quite some time to actually try them out and now after 9 months of using DermMatch, the king of this class, I want to share with you a completely honest review and I’m sure that you might be surprised. Hair Concealer For Men – What’s That? 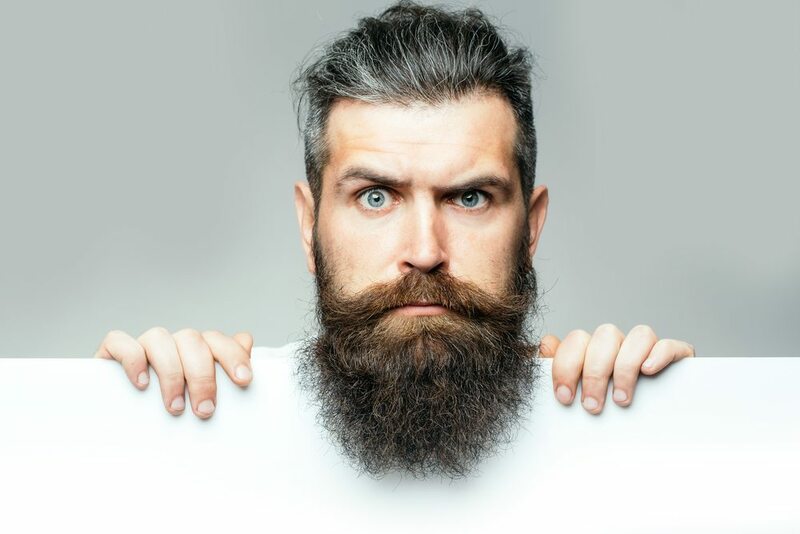 Most men have the same problem while aging in beauty our hairs will get thinner, the hairline will move further and further away from the face and hair will fall off. Some do suffer this fate early in their twenties while other have the luck to enjoy more hair while they enter the sixties. Bottom line, we can’t fight the fate of genetics and nature and even though there are many ways to slow down that process, sooner or later we will lose some of our beautiful hair. When your hair gets less, the skin on your head will start shining through the hairs – and the skin on your head is pretty bright and the darker your hair is the more obvious it gets. 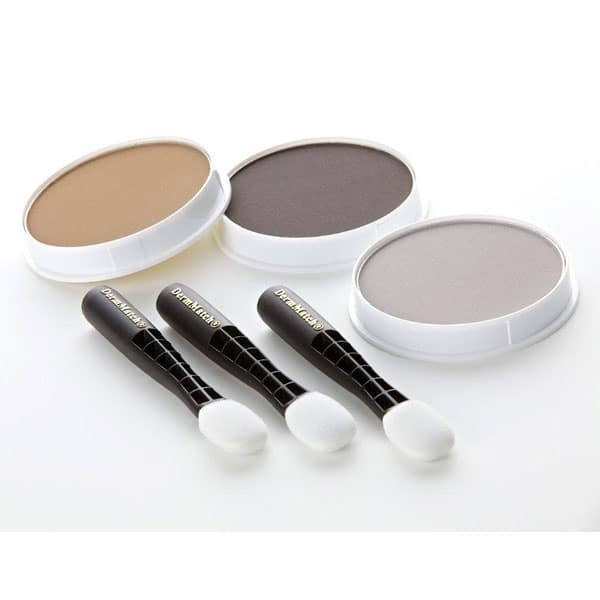 Hair Concealer like DermMatch do not change anything at the hairs you’re having, but it will adapt the color of the skin on your head to your hair color and the less your skin shines through, the less obvious your thinning hairs appear. You’ll be surprised how much this changes even when you think your hair is not enough! So, does DermMatch and other hair concealer work? You won’t be getting back any hairs and also your hair won’t change, but your hair will look a lot fuller and thicker than it is. I was testing it first only when being at home, I didn’t want to risk going out on streets or to work and get a bad surprise. After a few weeks I’m using it frequently and won’t change anything about it. Do hair concealer look natural? Looking back now, I would say that my first times didn’t look 100% perfect and natural, but today with the routine it does – not even my friends or even the women I’m dating has been recognizing it. Sounds too promising? I know, but that’s the truth. Lucky me, I found a tip in a forum to apply it with a dry applicator and tried that out – the results are a lot better. I can completely dry blow my hair and then apply it with almost nothing being in my hairs after the application. My hair still shines and it appears a lot more natural. Plus the transition of your hairline will get a lot smoother and very natural looking. So, try it with a dry applicator a couple of times even though it takes a few minutes longer it is absolutely worth the result. When I applied it, I also don’t use a brush or anything, I only take my hands and go through the hair where I applied it a couple of times (you will see a lot of color on your hands, no worries) and wash them – I repeat that 2-3 times until there’s no more color on my hands and then I put my finish styling on. A picture tells more than a thousand words, right? Here you can see the results before (left side) and after (right side) using DermMatch – I apply only a little bit of hairspray after applying it and some volume foam with a blow dryer in my wet hair before that. I’ve been quite positive so far so let’s talk also a little bit of the downsides. DermMatch claims to be waterproof. I wouldn’t risk going to take a swim in a pool with it. In your daily habit, you won’t need to fear that it will rain down your forehead when you sweat or there’s a little bit of rain – even when showering before using shampoo there’s not much washing off. Still, try to stay on the secure side. I also have not seen any dark stains on my pillow, even when having bright ones, the next morning. You don’t need to wash it off in the evening, I actually have it in my hair for two days as I don’t wash my hair that often and it also looks fine on the next day – this may vary on the hair structure and skin type you have. One downside is, when you go through your hair with your finger a lot (like I do), you will get used to always have a little bit of the color under your fingernails – in my situation with the dark brown color it looks like dirt and I really need to carefully wash my hands during day a lot. That’s not that much of a downside like it may appear and won’t stop me from using it, but it can be annoying if there’s no opportunity to wash your hands around. Update: I forgot to mention that I also cloak the single grey hairs that I have on my head with it. I also tried this cheaper alternative like this one here when DermMatch was out of stock. If you’re on a very tight budget, it also works out but there’s really a difference. The application isn’t that nice with the applicator they send – you need to be a lot more careful and it’s also not that precise. I also had the feeling that it doesn’t stay that great on my head – not that it washed off fast or didn’t look good, I had a lot more dark stains under my fingernails and also my fingers when going through my hair. My personal recommendation is actually using DermMatch unless you really can’t afford it as the applicators are better and also looks more natural overall (and you do not have to be afraid to get weird questions about black fingers when someone touches your head). One piece of DermMatch is also long-lasting, I’d say it takes about 6 months of pretty much daily use until you need a new one – I still use my first one but it is getting pretty empty by now. Try to get a color that is a little darker than your color unless your hair color matches the DermMatch color exactly – my hair color is a little brighter than dark brown so I also tried the medium brown and haven’t used it a second time – I continue using the dark brown. I use it along with volume foam, hair wax and hairspray and you can do with your hair whatever you want once you applied DermMatch to your head. Overall, I’m actually very positive about hair concealing, especially DermMatch – my expectations haven’t been that high in the beginning but I couldn’t imagine not using it (also I really get a lot of positive feedback since I use it). Of course it depends on many other things how it will look on your head, but I really recommend you to try it out a couple of times and after a few weeks you will also see that the application is not that big of a deal anymore. Previous article Can Vitamin D Deficiency Lead to Hair Loss?